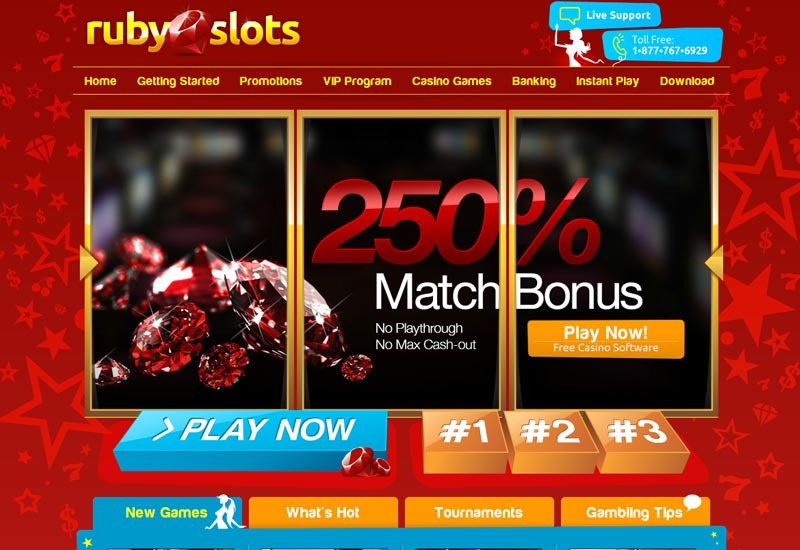 Like a precious gem, the Ruby Slots Casino offers a wide variety of online entertainment. Bringing only the best the gaming can offer, the casino is always present to bring amusement to any home. With a top software platform providing the games, Real Time Gaming has a lot to offer the players. All of the transactions are secure thanks to the encryption system guarding everything. The brand is licensed in Costa Rica. As far as promotions go, the casino has many things to offer, including a No Deposit Bonus, so the players can play for free. Over 80 games are being offered at the Ruby Slots Casino. Multiple Slots can be accessed, from Classic Slots, Video Slots, Real Series Slots to Progressive Jackpot Slots. 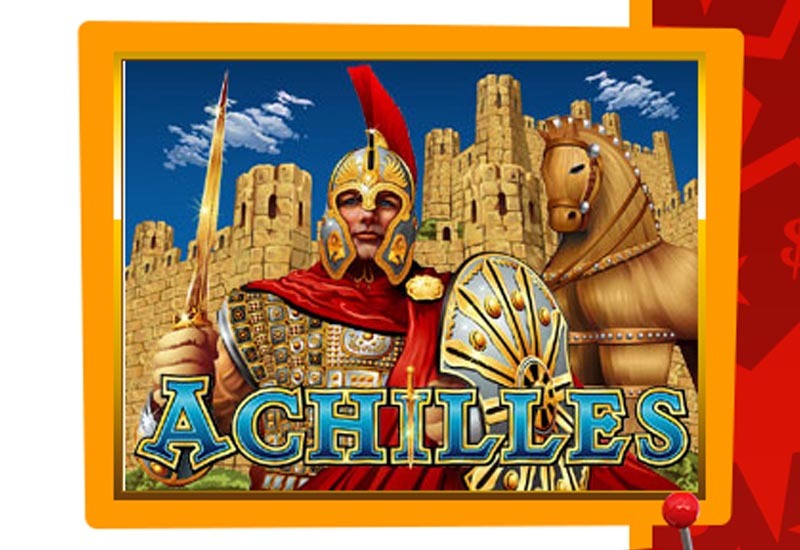 Extra features like Free Spins, Multipliers, Win-Win and Guaranteed Bonus are constantly rewarding. A vast selection of Poker Games can also be accessed, with Bonus Poker, Deuces Wild and Jacks or Better. Other games include Roulette, Blackjack, Sic Bo, Baccarat, Pontoon and Pai Gow. 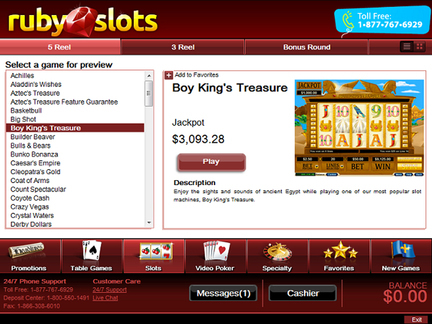 Jackpots can be scored on the selected gaming products. Low Rollers and High Rollers are also an option in the game play.